5/7/2018 5/24/2018 by tom moody Comments Off on "More You Earn"
Sources include sounds from the St Celfer sample archive (by kind permission), Helm (the arpeggiated chime at the beginning and end), and a certain Lamborghini driver. 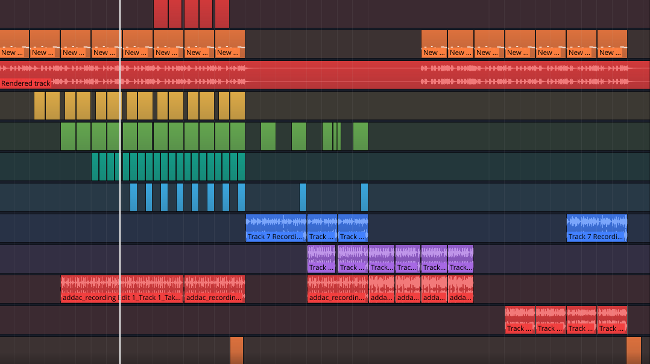 The screenshot of the Tracktion Waveform DAW tells you little or nothing -- that is to say, as much as the wave file images that Soundcloud uses. It's a crude "indexical" record of the music.